In August 2015 Martin O’Connor of Cherryfield Ecology confirmed that as expected, we did have bats in the church. Four different varieties at that. As work got underway on the nave we needed to start re-homing our flying furry friends. The first stage of this was the installation of bat boxes in some of the trees. Once bats are found in the roof structure our licensed “bat wrangler” rounds them up and settles them into their new homes. This got underway in Summer 2016 when Martin O’Connor of Cherryfield Ecology installed the boxes in accordance with our license from Natural England. 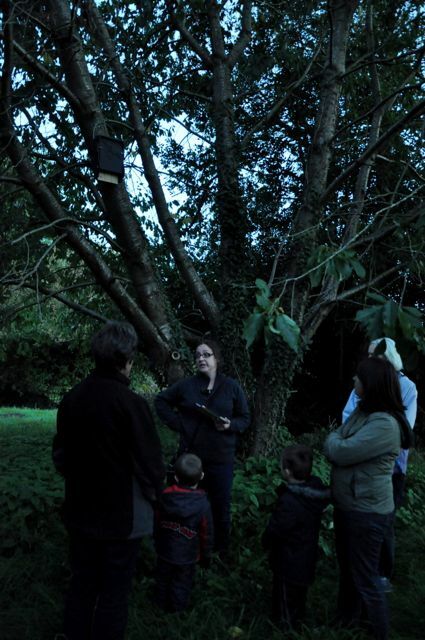 As part of our community engagement programme we also held a “Bat Stroll” in October 2016. 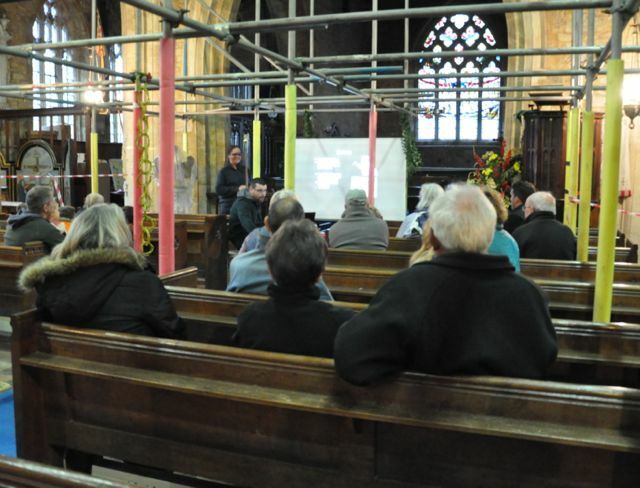 A large all age group were there to enjoy Martin’s presentation about bats before heading outside to find some, in the churchyard and surrounding area, using state of the art technology. The evening concluded with a report back over a warming hot chocolate in the church - everyone had seen at least one bat. During roofing work not a single bat was found, however we know they are still there as we have the droppings on our new kitchen servery worktop to prove it!